Scroll down to the bullet points for symptoms of an underactive or overactive crown chakra. 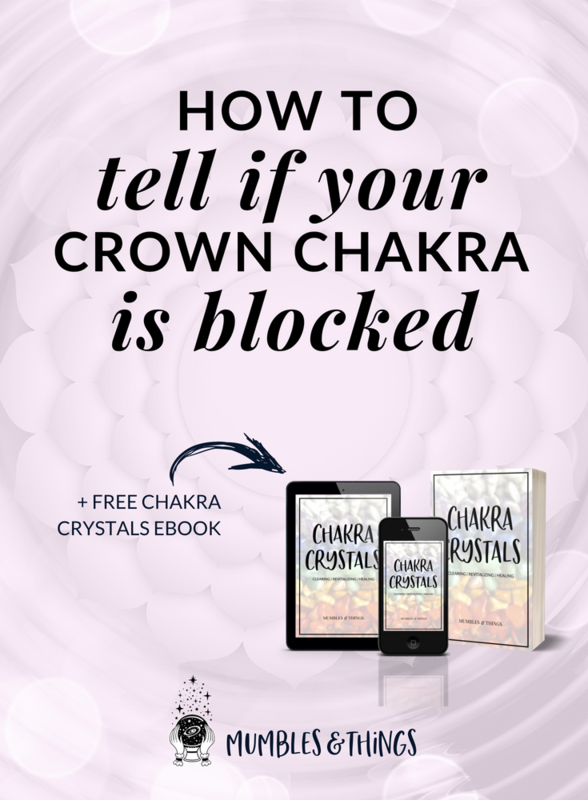 So What is the Crown Chakra? The Crown Chakra is the seventh chakra and is located at the top of the chakra ladder. In a human body, this translates to the top (or crown) of the head. It governs your spiritual progress and is the center for trust, devotion, inspiration, happiness, and positivity. The gift of this chakra is a deeper connection with ourselves and deeper connection with a force of life that is greater than ourselves. It guides us to the selfless realization that everything is connected at a fundamental level. When we realize that everything is interconnected and that we are part of the larger scheme of life, we begin to live with gratitude, faith and trust, rather than filled with fear and anxiety. For this reason, it can be quite useful to have tools to open the crown chakra. If you have a desire to learn more about spirituality, destiny, meditation, energy work, or other subjects along those lines, opening your Crown Chakra will enhance your experience and open you up to more possibilities than previously thought possible. It broadens your way of thinking and can really shift how you view the world and your place in it. Yoga poses like these from Yoga Journal. Take notes when you feel spiritual connection. Volunteer to help others in need. Wear more purple and white. "I am worthy of love from divine energy." "I am an extension of the Universe." "I trust that I am loved completely and unconditionally." "I receive guidance from my higher self." "My light attracts others that respect my unique vibration." "I am here to make a difference."